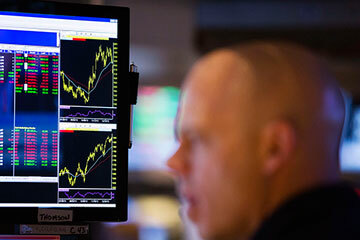 A trader works on the floor of the New York Stock Exchange in the Manhattan borough of New York, January 13, 2014. If they do, pay attention to what types of jobs get created. That's where the argument for exceptionalism gets trickier. Over half of all U.S. jobs created in 2013 were in low-wage sectors, like retail or health care, where paychecks are actually shrinking relative to inflation. Part-time workers still make up more of the workforce than is healthy. And the participation rate, meaning the number of people with jobs relative to the overall working-age population, is the lowest it's been since 1978, before women started coming into the labor force en masse. (The unemployment rate, by contrast, takes into account only workers who are seeking jobs.) While some economists argue that this reflects the retirement of baby boomers, Westwood Capital managing director Daniel Alpert points out that it's not nearly enough to account for the many millions of workers who've dropped out of the labor market. "There is much more going on here than the retirement of some lucky baby boomers," he says. So 2014 will be a telling year. Hopefully we will learn that the U.S. is in the early stages of a traditional recovery, the kind that will eventually trickle down to the masses and create the sort of middle-class jobs we need to spur growth (albeit a lot later in the cycle than in recessions and recoveries past). It could, however, turn out instead to be something new: a two-tier recovery that will create growth and jobs but only at the top and bottom of the pyramid. We're about to find out whether the American economy is exceptional or whether Americans are just in an exceptional kind of recovery.